Everyone knows how easy it is to keep all the things you need in your life close by, whether it’s your circle of friends, the grocery mart, your preferred gym, a good variety of restaurants and outlet stores, and of course your place of work. 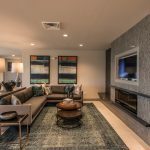 So why not choose a home that allows you to be within arms reach of some of the best entertainment venues in Tempe? 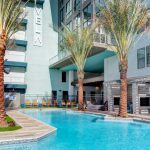 Vela’s Tempe apartment community offers a plethora of amenities that you can use right from home, along with a great neighborhood full of opportunity and fun for any occasion. For starters, our luxury Tempe apartment community has easy access to many major highways and thoroughfares in the great Phoenix area, giving you the chance to reach hundreds of local or chain restaurants, stores, offices, and more, making your commute to work a walk in the park. Enjoy nearby attractions like the Mill Avenue District – which features ample shopping venues, nightclubs and bars with live music, cinemas, and delicious food eateries, the neighboring golf resort, and even city favorites like the Phoenix Zoo, the Desert Botanical Garden, and the 1,500-acre Papago Park. Turn in your airline points and put your vacation hours to good use thanks to our close proximity to the Sky Harbor International Airport. Best of all, many great attractions reside right in our community, ranging from our exclusive indoor clubhouse, fully equipped modern fitness center, outdoor lounge with cooling misters, and our deluxe resort-style pool and spa, so there’s hardly a need to travel far to have fun. Give yourself convenience and comfort in our community at the Vela. Explore our adult only luxury apartment community in Tempe today.